I have recently revamped the PerfectTablePlan payment pages. 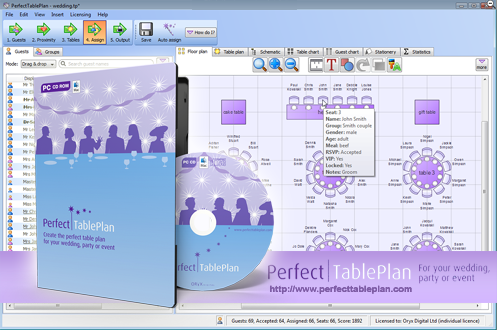 I asked Andrew Gibson of 3d-box-shot.com to create an image of the PerfectTablePlan packaging, using the existing artwork. I was very impressed with the result. The image is much cleaner and more aesthetically pleasing than I could have achieved by photographing the physical packaging. But I am much less keen on the practice of using box shots of software where is no box (i.e. download only). It seems disingenuous, at best. Andrew kindly agreed to write a guest article for this blog with an insider’s view on the art, science and ethics of software box shots. Almost every time the subject of box shots is raised in any sort of software marketing forum, opinion seems to split diametrically in two opposing camps. The first group don’t see any ethical problem with displaying a box shot for a “download only” product. The typical argument used in favour of box shots is that it makes a product appear more tangible to consumers. They can see what you’re selling without having to read about it. It removes any doubt that the site they are looking at has software to sell and, when used effectively, can add an air of professionalism to a site. Finally, there’s a widely held belief that because of this, displaying a box shot can improve conversion rates. In contrast, the opposing group believe that displaying a box shot for a “download only” product is ethically wrong and fundamentally dishonest. They maintain that customers would complain about not receiving a physical package in the post that’s identical in every respect to the “bogus” box shot displayed on the website. 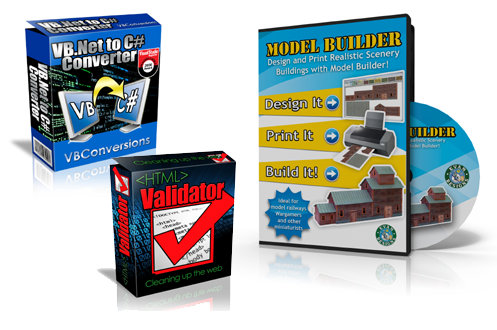 I run my own Micro ISV, selling amongst other applications, a product called 3D Box Shot. As a result, you might be inclined to think that I fall into the first camp. However, I’m actually quite ambivalent about the issue. I use box shots on some of my sites and have never received a single complaint from a customer about them not receiving a physical product in the mail. However, consumers in different markets don’t all behave the same way, which is why advice that works for some ISV’s can be commercial suicide for others. I’m entirely willing to accept that in some markets, some customers may indeed complain about not receiving a physical product. I just haven’t experienced this first-hand. It’s often stated that adding a box shot to your site can dramatically improve conversion rates for your products. It may come as a surprise to learn that I’m not convinced that this is true in all cases. Generally speaking a box shot isn’t some sort of magic bullet that will transform your sales overnight. However, if it is an integrated part of your marketing strategy then it can make a real difference. So how do you go about integrating a box shot into your marketing strategy? From a design perspective you can integrate a box design by keeping everything visually consistent. Use your company and product logo on the box and clearly display your website URL as well. This will help to increase the marketing potential of your box shot. Using this method, you can attract visitors to your site even from low quality download sites that don’t even supply a link back to your website. Trends in box design can change. Not so long ago lots of people were asking for Windows Vista Style boxes, but as it became more apparent that Windows Vista was destined to be seen in the same light as Windows ME, this requirement has tailed off. Nowadays the vast majority of design jobs that I do are for DVD cases, both virtual box shots and full print insert designs. If you’re artistically talented and have access to a good quality image editing tool like Adobe Photoshop and have an easy means of transforming your 2D designs into a 3D Box, then you may well be able to create an effective looking box shot yourself. However, once you consider the time this takes, hiring a designer seems a lot more reasonable. Since I design boxes commercially, I’ve acquired a lot of design resources including hundreds of royalty free vector images and a library of stock photography. I can draw on these resources when I’m creating a box design. This lets me develop designs quickly through the draft stage through towards the final design. However, as an experience box designer, I still find it challenging and rewarding work. But it is very time consuming. The box shot needs to visually show what your product is and does. Show your design to someone that’s never seen your product and ask them to tell you what your product does. If they can’t do this, then your design isn’t up to the job. Make sure your website address is clearly visible on the box shot. If you ship a physical package you’ll have no way of controlling where it ends up. The box itself can drive traffic to your website. You don’t have to slap it on the front of the box, just make sure it’s there and can be seen. Try to design a cover that fits with the look and feel of your website. Use the same (or at least, non conflicting) colour scheme as your site and try to use the same fonts. This will prevent your box shot from standing out on your site like a sore thumb. Never use more than three different fonts in your design. Unless you are selling a font management application, this is sure way to spoil any design. Design so that text is still visible when the box is reduced to a 250 x 250 thumbnail. If the text is legible at this size on your design, then unless the design carries the message all by itself, the box won’t work very well as a marketing tool. The image above was created in a rendering application at very high resolution. It took around 6 hours to complete on a dual core system. The resulting image is big enough to be used in print ads, or can easily be resized for use on the web. Andrew Gibson is the head developer and lead designer for www.3d-box-shot.com, provider of box shots, packaging design, e-book covers and more. Box shot images from scratch start at $100. Box shots images from existing artwork can be created for as little as $25. All the images in this article were created by them. 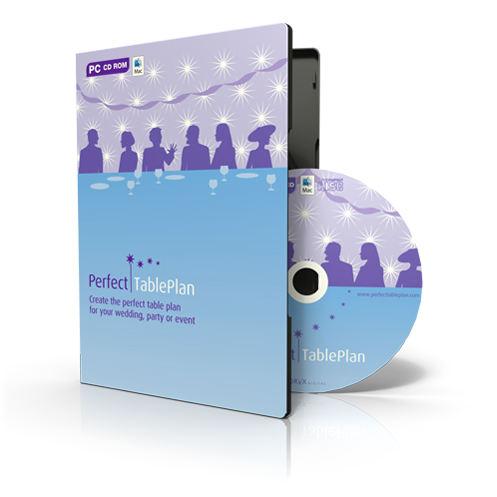 The original PerfectTablePlan packaging was designed by Nicola and Adrian Metcalfe. This entry was posted in article, guest posts, marketing, software and tagged 3d, box shot, conversion rate, ethics, packaging, rendering, software, software box on 16 September 2009 by Andy Brice.